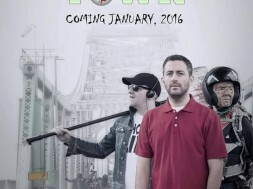 Though episode 1 ‘Road to Nowhere’ of new horror comedy web series Dead Town comes in at under 12 minutes, writer/director Peter Mckeirnon packed a lot of punch in the premiere episode. 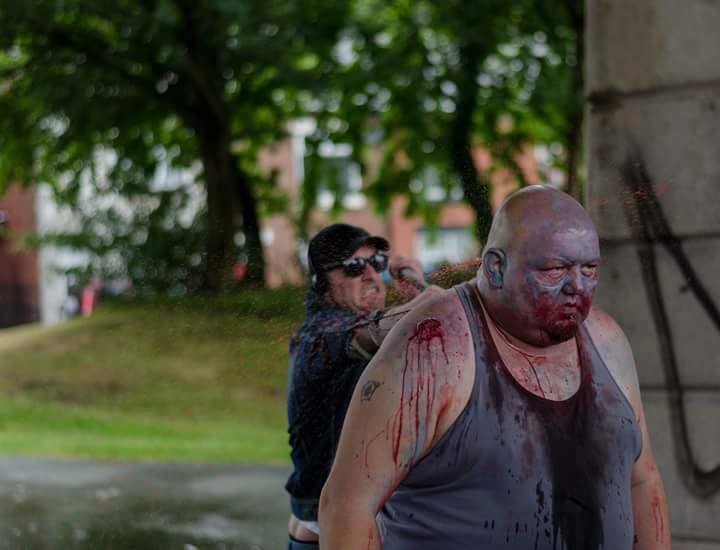 We start off with friends John (Michael Hagen) and 80s Dave (Karl Davies), so named for his love and lifestyle of the 1980s, who were co-workers at a mayonnaise factory before finding their dead boss who becomes a zombie before their eyes. Dave has no problem taking care of their former boss as he’s got a bone to pick about some unpaid overtime. 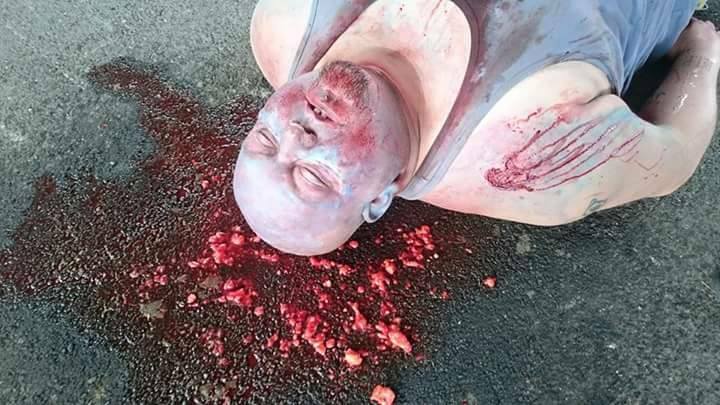 Soon, more zombies come into the scene, and it’s obvious that the zombie apocalypse is upon them. 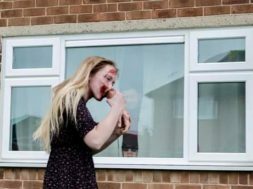 The series follows John, 80s Dave and Butty as they look for John’s missing daughter and attempt to survive the zombies in Runcorn. 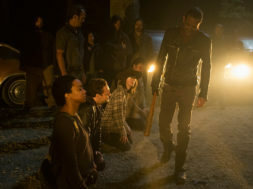 Though most of the series features conversation between the three friends, there was still time for five zombie kills. The characters are likable and fresh, and the production value is pretty great for a web series. Filming begins this week for the next episode. If ‘Road to Nowhere’ is any indication of how the rest of the series will go, I’m in it for the long haul. 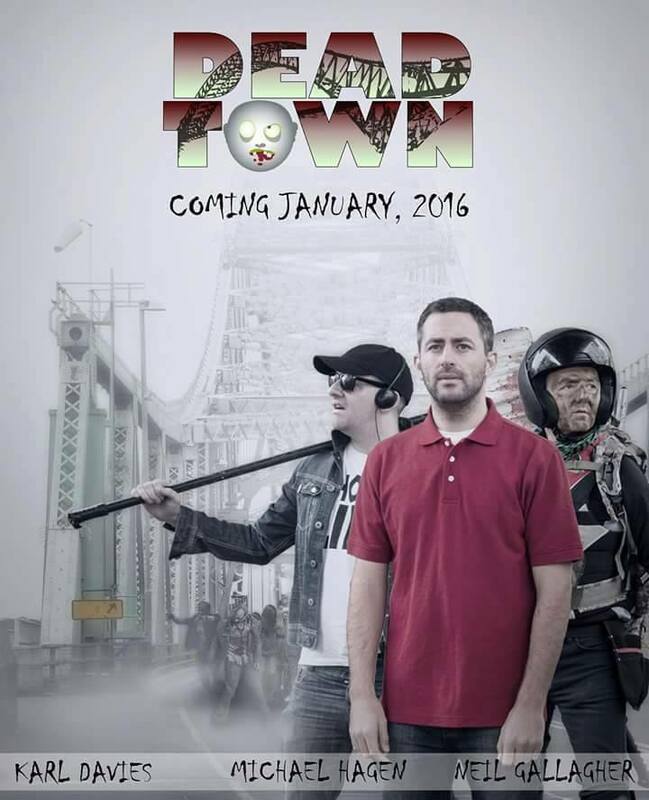 Subscribe to the Dead Town Youtube channel and watch ‘Road to Nowhere’ now.